LED-W11 is a digital indicator for installation directly in a 4-20 mA loop without need for external power. 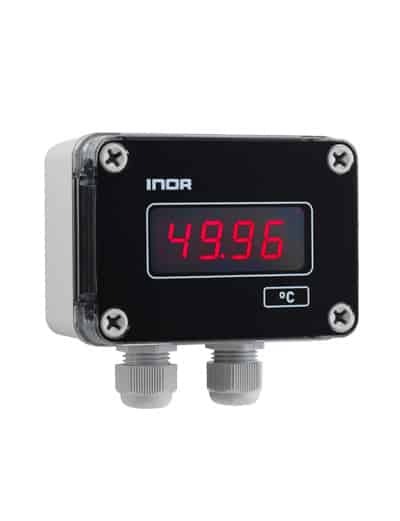 The indicator is equipped with bright, easy-to-read LED digits, and the scale is easily programmable without reference signal. LCD-W11 is designed for field mounting on wall, pipe or DIN rail and has a rugged and splash proof housing. A temperature transmitter can be integrated for direct sensor input.